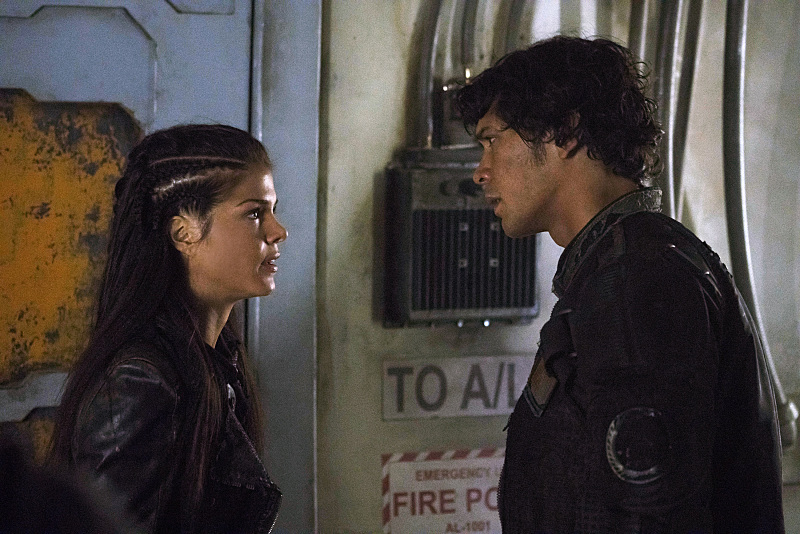 Official promotional images for The 100 episode "Hakeldama"
The CW has released preview images from next week’s episode of The 100. MICHAEL BEACH (“SONS OF ANARCHY”) GUEST STARS — Clarke’s (Eliza Taylor) hope for peace are dashed by a new threat. Raven (Lindsey Morgan) becomes a target. Meanwhile, Murphy (Richard Harmon) is running a dangerous con. Paige Turco, Henry Ian Cusack, Isaiah Washington, Bob Morley, Marie Avgeropoulos, Devon Bostick, Christopher Larkin, Ricky Whittle also star. Tim Scanlan directed the episode written by Charlie Craig (#305). Original airdate 2/18/16. UPDATE: Now that the episode has aired, The CW has released five more photos. As such, this gallery is now updated!